Following my climb up Windover Hill, I made the short journey west to Charleston Farmhouse. This beautiful place was once home to artists Vanessa Bell and Duncan Grant, and played host to their circle of bohemian friends, now better known as the Bloomsbury Group. The interior of the house, with its murals, painted furniture and fascinating collection of art and objects, is definitely magical. Unfortunately photography is not allowed inside, so I wasn’t able to capture that magic for this blog. However, the perfect English cottage gardens more than made up for that loss. 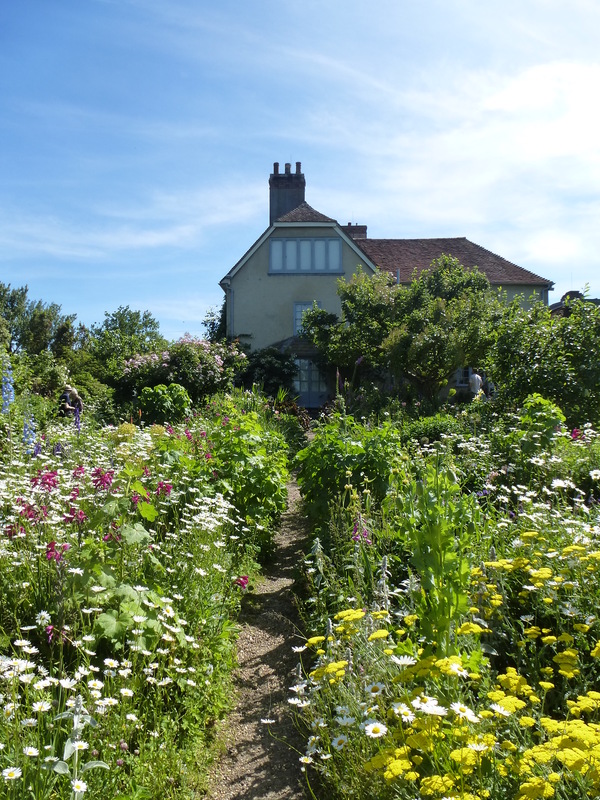 A riot of colourful and perfume, the gardens of Charleston Farmhouse are an oasis of peace and quiet. It was while wandering through those gardens that I came across a small orchard. Hiding in the shadows of the surrounding trees, I found a strange, rather magical sculpture. 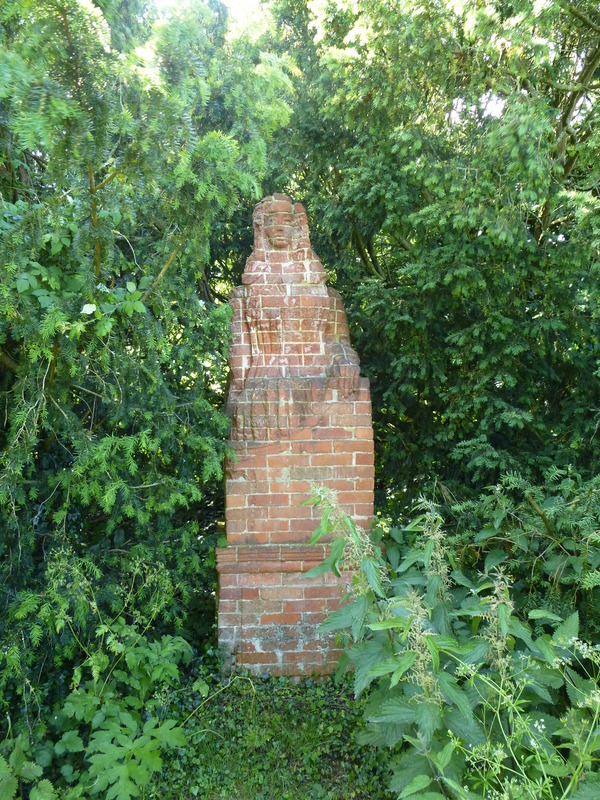 Further research has revealed that this sphinx-like beast, which is carved out of a large stack of bricks, was created by Vanessa’s son Clive Bell in 1931 and is known as the Spink. Just like the mythical beast that it is named after, the Charleson spink is a bit of an enigma, loitering silently in a quiet corner of the garden.